As the nights start drawing in and we wake up to the first frosts of the season, it’s a good time to start thinking about winter health and safety for your workplace. Here are some tips for preparing for winter so that your staff stay happy and healthy during the cold weather. While ‘man flu’ is often the subject of friendly teasing, real flu is no joke. Germs spread like wildfire through offices, and winter is the time when everyone is at their most susceptible to coughs, colds and flu. Winter bugs can have a major impact on your workforce and productivity, so, as part of your winter health and safety campaign, try to prevent their spread by encouraging employees to wash their hands frequently. It might also help to put alcohol hand gel dispensers in key places in the office, such as next to the water cooler, to help promote good hygiene. Educating employees about getting the flu jab is a sensible precaution, but you’ll also need to accept that some illness will be inevitable. If a member of staff is displaying flu-like symptoms, encourage them to take sick leave. It’s better that you lose one member of staff for a few days than have them come in and make everyone else ill as well. Before the weather gets really cold, make sure the heating in your office is in good working order. Get a registered engineer to come and service the boiler, and test the radiators, as they may need bleeding after a summer of inactivity. If you’re not fortunate enough to have climate control in your office, it’s important to make sure you keep rooms at a comfortable temperature through other means. That not only means ensuring that your workplace is adequately heated, but it’s also about keeping it well ventilated with a supply of fresh air; an office that’s too warm and stuffy is just as unhealthy as one that’s too chilly. Outside the building, your winter health and safety preparations should include making sure drains and gutters are unblocked before the deluges that come with the storm season. 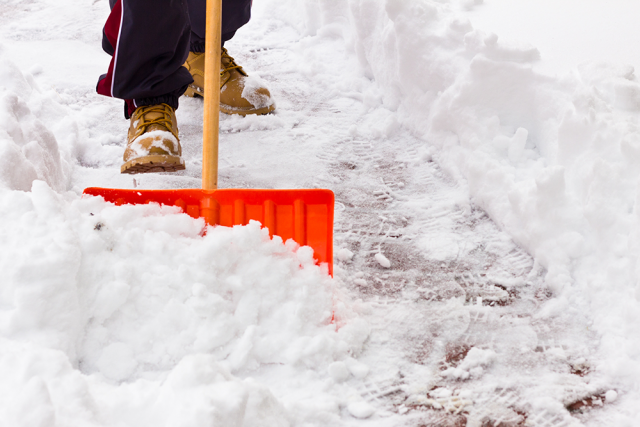 Prepare for freezing conditions by checking that you have an adequate supply of grit, which you should sprinkle around entrances and car parking areas in advance of a cold snap to prevent people slipping over. With the nights drawing in, most employees will be leaving work in the dark each day, so it’s also worth checking that external lighting is working so that the outside of your office is well-lit. If any of your employees are going to be venturing out in cold weather – whether that’s working outdoors or driving to appointments – you should also make sure they’re adequately prepared for the conditions. You’ll need to ensure that they have the right Personal Protective Equipment to do their job in cold weather – this could be gloves or waterproofs, for example. Finally, if they’re going to be driving vehicles of any kind, it’s also worth offering a refresher on driving in winter conditions.